In these four Hello Kitty coloring pages, Hello Kitty goes to the snow, to Australia, for a ride in her car and to a field full of sunflowers. 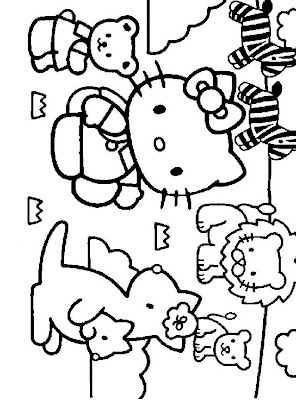 Click on the Hello Kitty colouring page you like best to print it. or buy a pack of 8 (as party favors) for just US$17.89 - click on image!